Since the tracking of the gender pay gap has started, the differences between the salaries of women and men have shrunk. Yet a significant disparity in the payment of male and female workers remains. Today, 9th April 2019, marks Equal Pay Day. For over a century, there has been ongoing fights about a problem that has existed far longer than it should. Women in the 21st century are still paid lower wages for the exact same job than men. Equal Pay Day is celebrated each year on the second Tuesday in April and helps to raise awareness of the ongoing struggle women have to deal with when it comes to equal pay for equal work. Since 2015 the uncontrolled gender pay gap, which consists of the ratio of median earnings of all men to all women, has been decreased by $0.5. In 2019, however, women are still only earning $0.79 for each dollar their male opponents make. 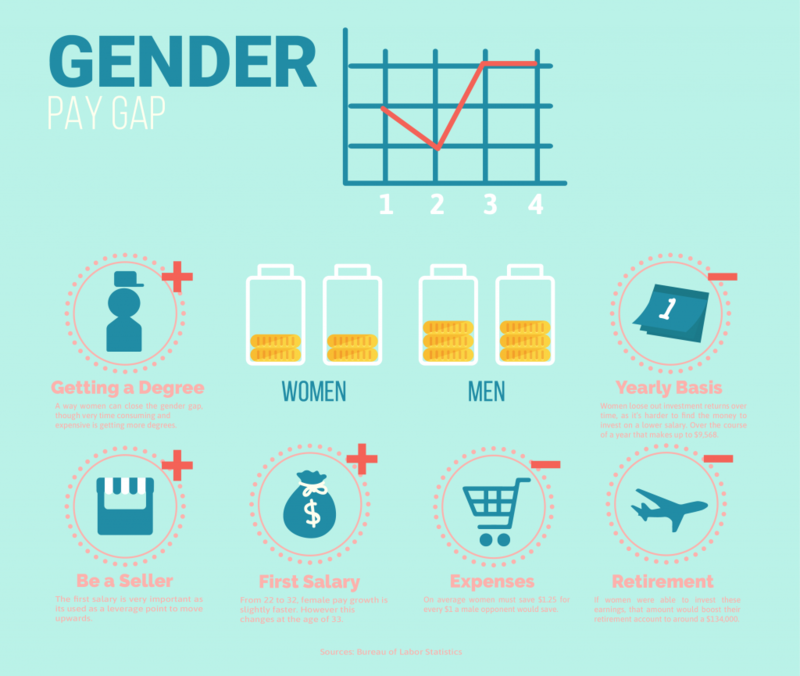 What is not represented in the gender pay gap is that women are less likely in holding high-level and high- paying jobs than men. This is called the opportunity gap as is due to structural barriers which often keep women away from advancing in their working environment. It is also important to state that women are not a homogenous group when it comes to the gender pay gap. Compared to white women, women of color are still facing different barriers when it comes to a fair salary and advancing within their workplace. In its 2019 report Payscale stated a 1% improvement from their 2018 and 5% from their 2015 report. (Payscale looks “at the median salary for all me and women regardless of job type or worker seniority”). Yet, the gender pay gap is still not zero, once all factors such as industry, work experience and job level are accounted. This aligns with the data from the Bureau of Labor Statistics. More Love Less Fear: Chapel Dublin is a Church for millennials.